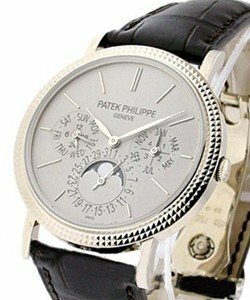 This watch is also known as: 5059 , 5059G , 5059 . 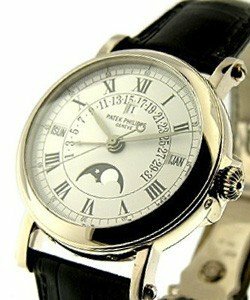 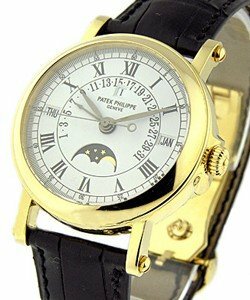 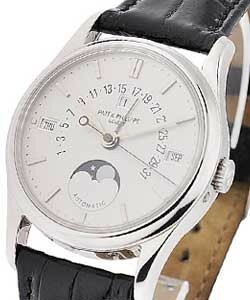 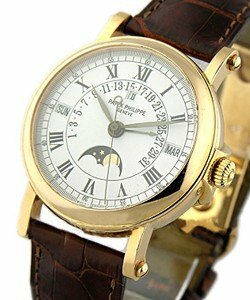 Patek Philippe is considered by many to be one of the greatest swiss watch makers in the world. 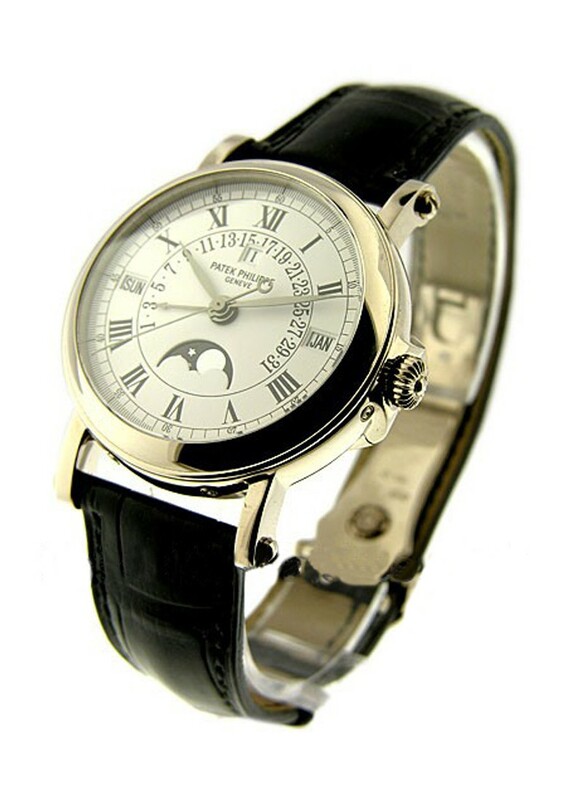 The company has been around since 1851 and has been producing watches since 1868. 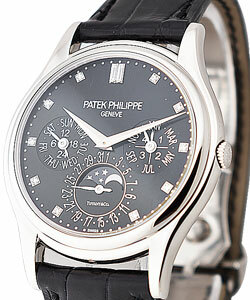 Patek Philippe 5059 Retrograde Perpetual Calendar Ref 5059G features 18K White Gold on a fine alligator leather strap. 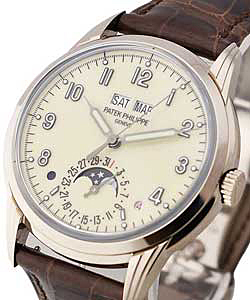 Ticking under the watch is swiss's finest engineering; Patek Philippe Caliber 315/136, shock protection and a perpetual calendar (date, day, month, year, & moon phase). 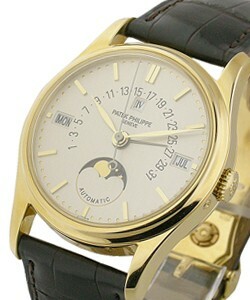 In addition, the 5059 features leap year indicators.